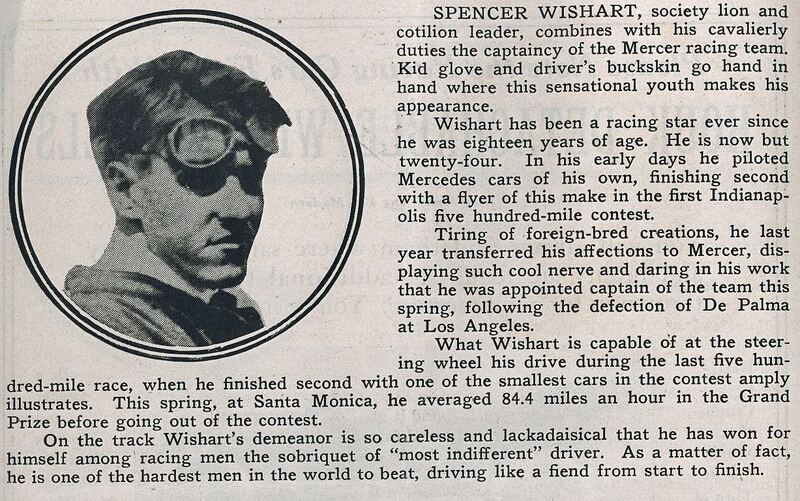 This is a racing profile of the driver who participated in a record five Vanderbilt Cup Races from 1909 to 1914- Spencer Wishart. 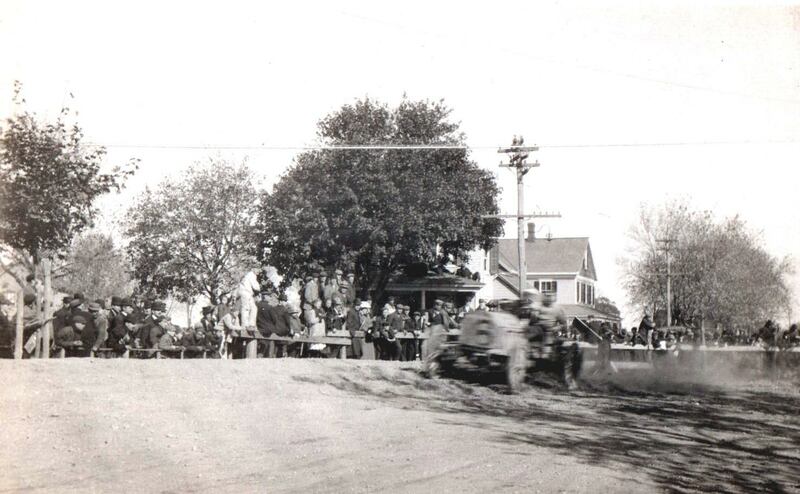 To those that knew 20 year old Spencer Wishart, it came as no surprise that he would be in the lead at the end of the first lap of 1909 Vanderbilt Cup Race. Wishart, the son of millionaire Wall Street investor George Wishart, knew one way to drive: flat out. He pushed his prized three year old Mercedes to a 67.9 miles per hour lap average – a stunning speed from a standing start. Wishart continued to fight for the lead for the first six laps before falling victim to a broken fuel feed line on lap 7. After losing 6 minutes for repairs, he would not be a factor during the rest of the race. Such results were not uncommon for the young man with a fast, on-the-edge approach to driving. Always an exciting competitor, he led many races during his brief career but never won a major event. 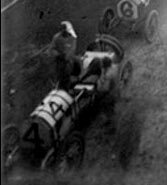 Wishart would end up driving in five Vanderbilt Cup Races (1909, 1910, 1911, 1912, and 1914). 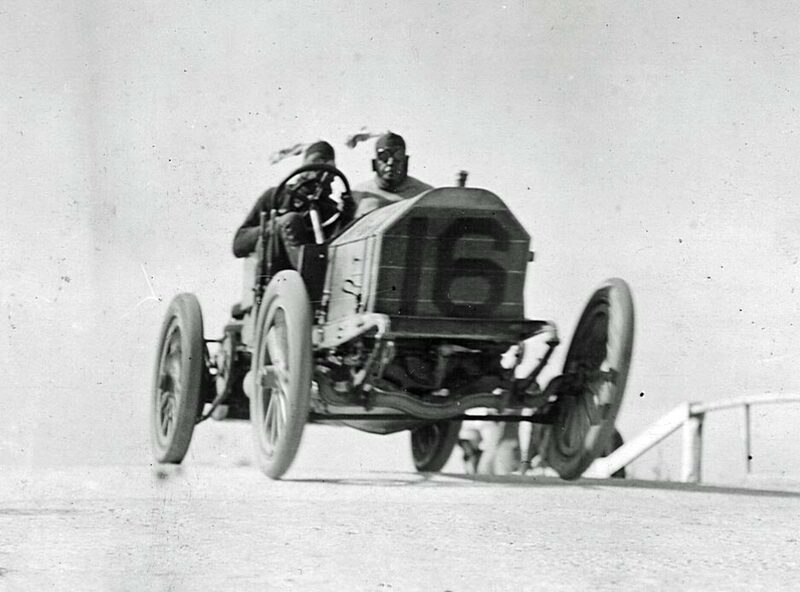 Wishart began racing as an amateur driving his own Mercedes in 1908. 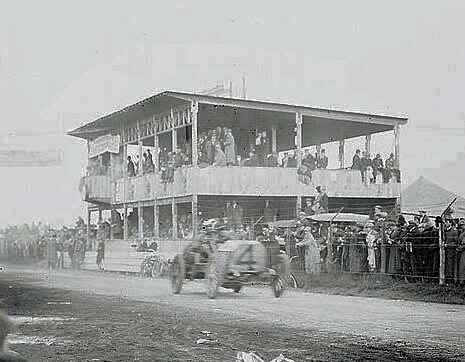 He earned acclaim when he finished fourth in the first Indianapolis 500 mile race in 1911. 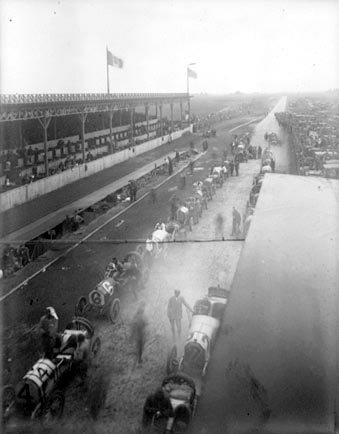 By 1913 he was a member of the Mercer factory team and returned to Indianapolis to finish second that year. In little more than a year the charismatic young man’s life came to an abrupt end. 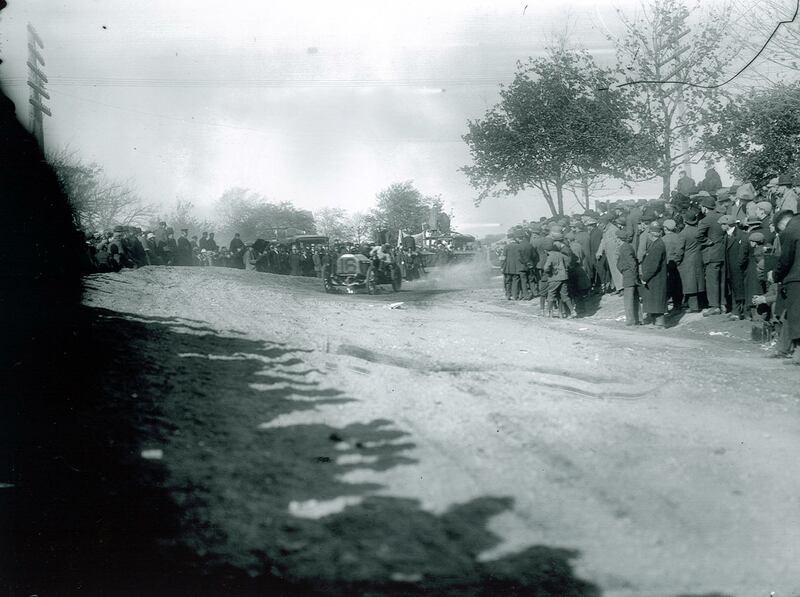 Wishart was killed while leading the Elgin, Illinois road race on August 22, 1914. After tangling with teammate Otto Henning, he lost control of his yellow Mercer and hit a tree. The 24 year old had been married to Louise McGowan for only two months when he died. 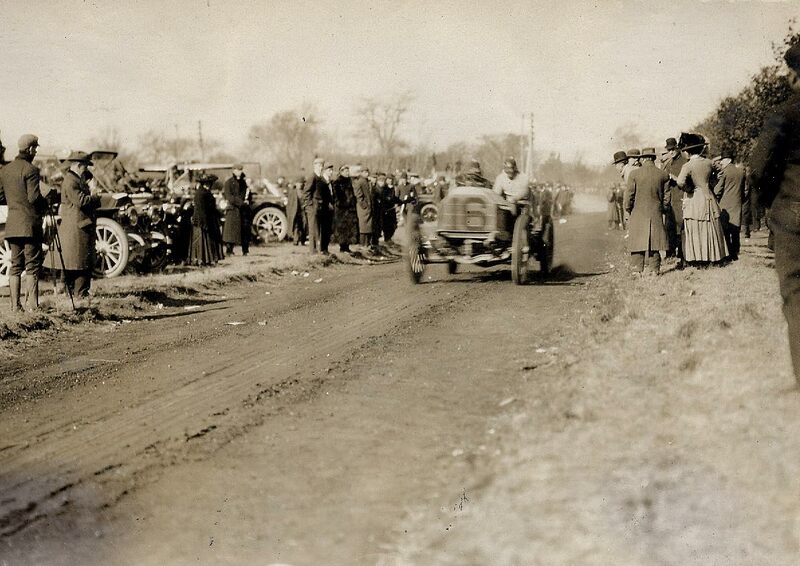 Wishart racing on a Motor Parkway bridge At the Hicksville Turn on to Old Country Road. The Westbury Turn from Old Country Road. In front of the grandstand prior to the race. At the official's stand/press box on the Long Island Motor Parkway.